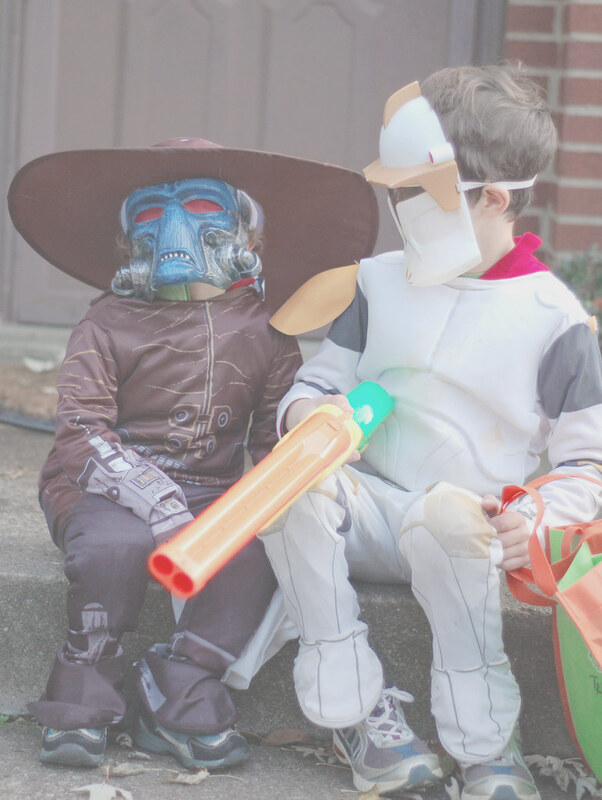 Elizabeth M Jacob: trick or treat and star wars. 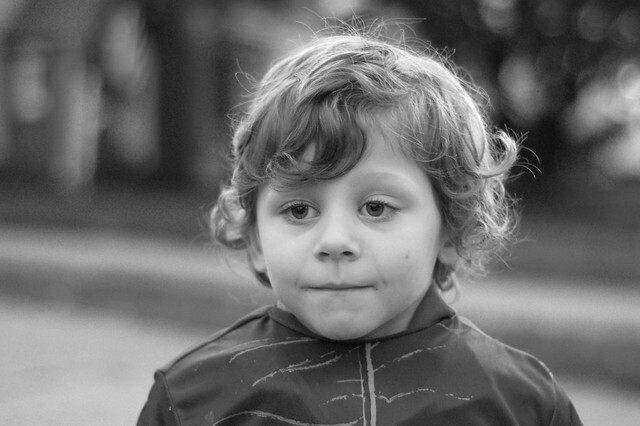 Last night we tromped and strolled through our neighborhood for an evening trick or treat. 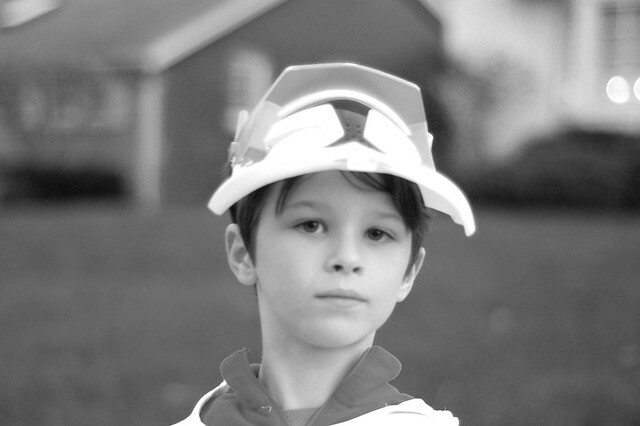 The original plan was to dress the entire family in Star Wars attire (nerds, I know) but by the time trick or treat rolled around Jon and I were feeling pretty tired so we held off on our costumes. If you can't tell Jonas is Commander Cody and Joshua is Cad Bane. 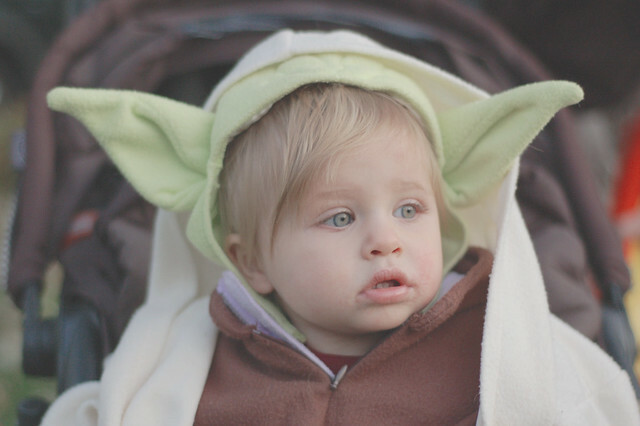 And Jessica is our little Yoda, a costume that Jonas wore when he was one. Thank you to my parents for coming over and passing out treats and a huge thank you to my mother in law for bringing over the best autumn roast AND apple caramel pie. How was your trick or treat? If you posted about your Halloween feel free to share. I love how your kids didn't go for the "typical" Star Wars characters. And I LOVE the Yoda costume, SO adorable!